At Coyote Software, we offer the latest technology and brightest new innovations in cloud-based point of sale software. Our capabilities encompass everything from stock control software systems to real-time reporting software, so there are virtually no limits to our solutions in POS software. 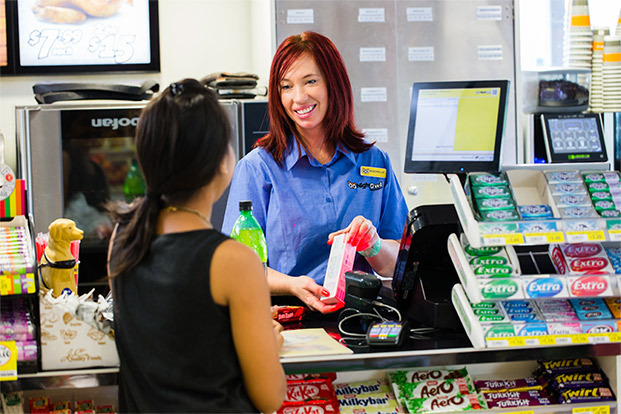 That’s why we’ve been so successful in establishing reliable, accurate and dynamic POS software for convenience stores and grocery chains—like NightOwl Convenience stores throughout Queensland and New South Wales. But in order to harness the full power of our POS software, we rely on high-performing hardware to support it: which is why we’re partnered with Tysso. Tysso POS hardware systems are built on the latest offerings in market technology, and they’ve achieved a remarkably user-friendly experience for operators across all their devices—while delivering state-of-the-art POS solutions to do the heavy lifting for the business. 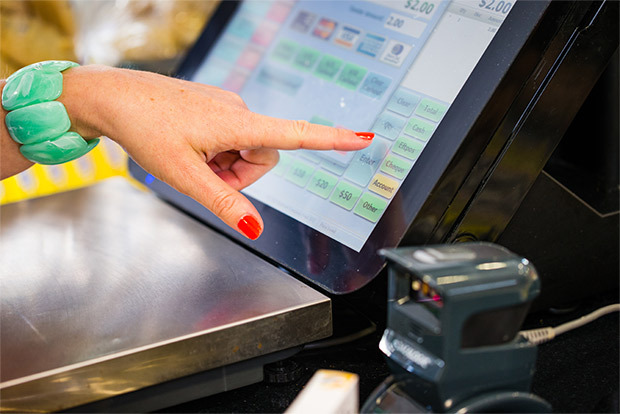 Tysso’s all-in-one systems incorporate sophisticated cash registers, barcode scanners, printers, and touch interfaces that offer a range of benefits to support Coyote Software’s solutions in POS software for grocery stores and other businesses looking to improve their workflow. Coyote Software have partnered with Tysso for several years already, and over that time we’ve found that they’ve outperformed heavyweight brands like Toshiba and IBM—all the while operating seamlessly side by side with them. Tysso’s offerings are compatible with both Linux and Windows operating systems, and they have the capacity to integrate with a wide selection of retail devices. They feature the latest Intel Core and Atom processors for fast and reliable performance, ensuring that our clients’ businesses operate seamlessly and competitively—and our clients can maximise the return on their investment. Besides housing the best operating systems for seamless integration, the technology forwards the Tysso POS hardware range some luxurious advanced functions, including resistive-touch technology and advanced Projective Capacitive Technology (PCT) with multi-touch operation offered in the POS-8017F. Tysso’s capacity to introduce extra responsiveness and improved interfaces to existing POS hardware systems really give it the leading edge over other brands, and make it the best partner for Coyote Software’s real-time inventory management software and back-office software solutions. One of the most attractive design features throughout the Tysso POS hardware range is the consistently compact footprint left by all devices. Tysso touch-screen workstations are ideal for small workplaces with limited counter space, but the attractive design and wall mountable bracket kits in all Tysso cash registers render them suitable for virtually any shopfront. Tysso’s entire range is full of good choices for small workspaces, making shop counters comfortable and easy to use for both operators and customers. Tysso delivers high-quality housing design across its entire POS hardware range, virtually eliminating one of the most common annoyances experienced in shopfront transactions, noise & heat. Tysso makes good use of smart fan and fanless cooling systems throughout the entire range, which give it a distinct advantage over other hardware brands in safety and usability. Besides its innovations in spill resistance and durability, Tysso’s solutions in concealing cable are also noteworthy, with internal routing bases used throughout the range to reduce the space consumed by unsightly cables. And with a set of machines that perform so highly, it’s not much of a surprise that they’re also cost-effective: low-power functions deliver significant energy savings, which is great news for both the sustainability and bottom line of our clients’ businesses. At Coyote Software, we’re committed to supporting our customers over the long term, which is why we only choose hardware brands that will help us live up to our high standards of customer service. Tysso offers a manufacturer’s support service, which includes a 2-year warranty across its product range. In partnership with Tysso, Coyote Software is happy to be able to guarantee the quality of our hardware products and reduce the investment risk for our clients. Coyote has the best support for point of sale software. Brisbane customers can contact Coyote Software anytime for more information on the Tysso hardware range, and how we can transform your business’s daily operations with our hosted POS software systems. Tysso offers some of the best POS hardware on the market.